Hello guys, thank you everyone who read and like this FF. Thank you my friends for your lovely comments. Swara and Laksh where standing infront of her hostel under roof, due to rain. Both are tensed, because Ragini and Sanskar is nowhere near to them. After a while Sanskar reached them in fully wet condition. Swara: where is Ragini, Sanskar? Sanskar: Ragini? She left me before itself. Laksh: then, why you came late? Sanskar: it started raining heavily, so i stayed in nearby shop. It seems like not reducing so i came here in run. Swara: now, where is Ragini? Sanskar: she came to hostel only. Whether you checked your room? Swara: i checked it Sanskar. Swara is in verge of tears. She is about to fall. Laksh hold her. Swara’s eyes fixed inside hostel bushes. Swara(she points at that place): Sanskar,(he looks at her) Ragini. Ragini is sitting in garden bench. Swara ran to her with smile. SanLak ran behind her. She didn’t respond. Swara shook her shoulder. She falls on the bench unconsciously. Sanskar(shouts): open your eyes Ragini. She cupped her face and felt her body temperature. Laksh: we will take her to hospital. Trio take Ragini to hospital. Doctor asked them to admit her in hospital because of high fever. Doctor: she stand in rain for so many hours, so her body got freezed. No need to worry, she will be alright by tomorrow. Also, body temperature is high. So, Trips is must. You can discharge her by tomorrow afternoon. Swara: you both go home, i will stay with her. Sanskar: i will be with you. How can you manage alone. Nurse: only one can stay with patient. Sanskar: ok, fine. You stay with her Swara. Shall i see her once? Swara and Laksh stand outside. Sanskar enters Ragini’s ward. He went near to the unconscious Ragini. Sanskar: i am sorry Ragini, i shouldn’t behave with you like that. I know that made you disappointed. I promise you, hereafter i won’t behave with you in that manner. I LOVE YOU SO MUCH RAGINI. I can’t able to tell this when you are near to me. He pecked her forehead and came out. Sanskar: if you need anything, call me immediately. Laksh: we will come earlier tomorrow. They bid bye to her and left. Swara sits near to Ragini and caressed her hair. Suddenly, she take her mobile and dialled Sanskar’s number. Sanskar: haan Swara, whether you need anything? Swara: no Sanskar, don’t tell this to your parents. Because they may tell this to my dad. He will be worried unnecessarily. Just fever only na. Sanskar: hmmm. Ok yaar, take care. Next day, morning, SanLak enter into Ragini’s ward. Sanskar: how she is now? Did she gain conscious? Swara: haan Sanskar, she gained conscious. I am going to medical shop. Laksh: i will also come with you. Ragini opened her eyes slowly. Ragini: i am sorry Sanskar. Ragini: i made you all tensed. Sanskar: but it’s my mistake na. If i didn’t behave with you like that, you wouldn’t get upset na. I am sorry Ragini. I just lost my control when you are near to me. Sanskar(wiped her tear): i am telling na, i am sorry. Suddenly, Kavita enters the room. Ragini fell silent. Kavita: are you ok, Ragini? What happened? Ragini: nothing, i am alright. Just fever. Kavita: what alright? See your voice itself dull. Your eyes lost your brightness. Sanskar: Kavita is so sweet Ragini, she will get tensed even if small insects got injured. See how much she is tensed to see you. At medical shop, SwaLak where returned from shop. Swara turns in the side where sound came from. She is surprised to see Aditya. She hugged him. Laksh raised his eyebrow. He turn to another side as if he can’t see that. Swara: Adi bhai, what are you doing here? Laksh: hi, i am Laksh Maheshwari. Adi: oh, hi. I am Aditya Hooda. Swara’s senior. Swara: he too my senior only. Adi: then, why are you calling him by his name. Swara and Laksh look at each other. She don’t know what to tell. Swara: Laksh, will you take this? Nurse will come to put injection to her. Swara: i will tell you. Laksh, tell her i will come soon. Laksh left that place. Swara engage in serious talk with Adi about Ragini and her love. Because she knows Ragini will tell everything to Adi. Swara stops outside ward. Adi enters the ward. Ragini is silent while Sanskar gaze her constantly. Laksh takes Kavita out. Ragini’s face spread with smile when she heard his voice. Sanskar is surprised to see this much happiness in her face. Adi: what happened? Is this a way you care for yourself? Have you forget i am here only? He didn’t let her answer. Ragini felt like enbarrased infront of Sanskar. Sanskar smiles at her. Adi: excuse me, i am sorry. Shall i speak with Ragini privately? Sanskar nods and went out. Kavita is watching all this from outside. Kavita: laksh take her to canteen. I think he is Ragini’s boy friend. Sanskar(casually): they are not behaving like lovers. They are like brothers and sisters. Kavita: who cares, how they are look like? See how closely he sit with Ragini? Also, if he is like brother why he should send you out. Sanskar face falls. Kavita’s words starts changing his mind. Ragini: why you send him out, bhai? Adi: he is Sanskar na. Swara told everything about you both. Adi: she told about your love for him and his love for you. Ragini: his love for me? Means whether he loves me? Adi: ofcourse, that’s why he cares for you so much. 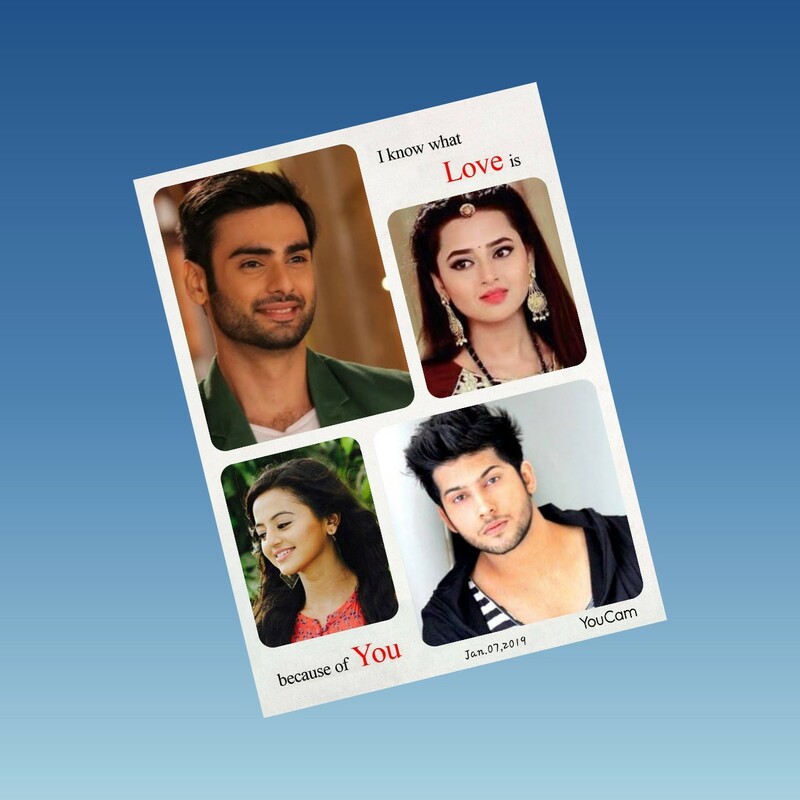 Also, his brother told to Swara that he is in love with you, yesterday. That’s why i send him out. If, he is here what he will think about your awkwardness. Tell me, what is bothering you. Adi: i told you always in our college days. If you have doubt, you should clear that. Ragini: but now i am thinking that i am not worth for his love, bhai. Ragini: i doubted him that he is in love with his friend Kavita. Then how i will face him now. His love is pure, why i can’t understand his love? Why i doubted him? Adi: so, this is the reason for your sadness. What made you think that he is in love with his friend? Ragini: one day, i went to propose him. But he went to help another boy. That time, his friend Kavita told that he was like this only. They are in love. But he cannot spend 2 minutes for her. Ragini: but me myself witnessed so many times, they are very close. Adi: Ragini, that’s because of your possesiveness, you felt like they are close. We both are also so close in our college, whether that mean Love. That’s friendship yaar. Ragini: but i am not worth for his love na. I doubted him unnecessarily. Adi: it’s not your mistake. It is that Kavita’s mistake. Yoy just propose him when he come to you now. Adi went out and send Sanskar inside. Ragini: Sanskar, i wish to tell you something. Sanskar: i am sorry Ragini, i have to go now. Mom called. Take care. Bye. By saying that he went out. Ragini look at him sadly. Sanskar drives the car fast and he stops near one tree in undeserted area. How Ragini behave strangely when he went near to her and how she pushed him aside all come infront of his eyes. Sanskar: so, he is the reason for your distance with me. (with tears) i love you blindly Ragini. With more confidence. I can’t imagine life without you baby. He cried like a baby by hugging the steering.